Manaslu trek is located in between two popular trekking routes in Nepal Annapurna and Langtang region. It is newly opened and less explored cultural trekking route in Nepal. 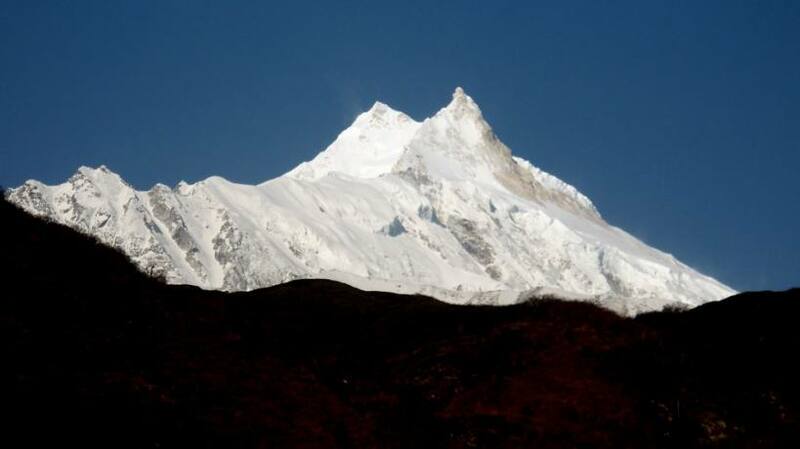 Manaslu means Mountain of the spirit and in Sanskrit called Soul. Nepal Trekking Experts is local and specialized for Manaslu. We are always with you to provide the best possible information about such a unique trekking region in the planet. The FAQs are prepared for four season and specific Manaslu region. We hope it will be informative and satisfied our invaluable clients. If you have further query please do not hesitate contact us. How many days do I need for Manaslu Circuit Trek? You need More or less 2 weeks for Manaslu Circuit trek from Kathmandu to Kathmandu. But you can combine Manaslu Tsum valley within 3 weeks and only Tsum valley within 2 weeks more or less. Do I need guide to trek Manaslu region? Since Manaslu region is restricted trekking route, trekkers should have government registered guide and agency to obtain Manaslu region permits and trek. What shorts of trekking permits do I need? If you are trekking only Manaslu circuit then you need Manaslu conservation area, Annapurna conservation area and Manaslu special permits. But if you prefer combining Tsum valley then you should have Tsum valley special permit as well. For more detail please feel free to visit our Nepal trekking permits and fees blog. Can I do tea house trek? Do I need to carry tent, Mattress etc? Yes, you can do tea house trek and you do not need to carry tents and mattress. Is there electricity in tea houses to charge my camera and cell phone? Apart from Gumpa Lungdang and Dharmasala you will have power all the places where you can charge your battery too. It will cost you more or less couple of dollar for full charge. Do I get WiFi during trek? You can have WiFi few places such as Namrung, Lho, Samagaun, Bhimthang, Dharapni etc. How long do I need to walk per day? You will have English speaking professional, experience, first aid trained and government registered certified local guide. They are mostly from all ethnic group of Nepal and picked from root of Himalaya region. We also offer language specific guides if needed such as French, Spanish, Italian etc. What is the best time to trek Manaslu Region? March, April, May and September, October and November are the best time of the year. But you still can trek some other month as well. For further detail please contact us. Can I trek solo with a guide? Trekkers can trek solo with a guide only after paying twice for special permit. Can I store my unnecessary trekking stuffs in Kathmandu before starts trek? Yes, you can store with us and it will be safe. What are symptoms of altitude sickness? Altitude symptoms are vomiting, fever, headache, nausea, dizzy, losing appetite, weakness, often waking, hard to breath, feeling too cold, diarrhea etc. Rest day is not a rest day. It is an acclimatize day where we do day hike to adapt altitude during Himalaya. This is main key factor to achieve our final destination and explore more side trip in detail. Do I need special training for exploring Manaslu region? You do not need special course for Manaslu trek but if you have some hiking experience before visit Nepal, it will put you better position. Because the terrain of Nepal is quite rugged and challenging.